American barn styles are as varied as the men and women who work the land where they stand! To celebrate these amazing structures, we offer Barn Styles Side Tear Checks from the Country Living Collection at CheckAdvantage! Included in the rotation are iconic dairy and prairie barns, plus a three-portal horse barn and an English gable barn complete with hex symbol! 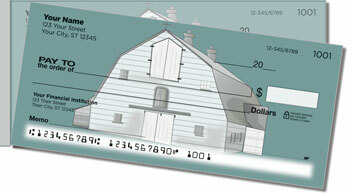 When you choose Barn Styles Side Tear Checks from CheckAdvantage, you'll get a charming collection of barn drawings but that's not all. 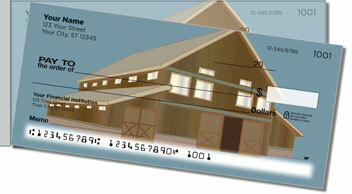 These checks are an exceptional value because of their handy side-tear format. 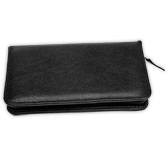 With the perforated edge on the left, your completed documents will separate easily and cleanly from the pad, without ripping in the wrong place. 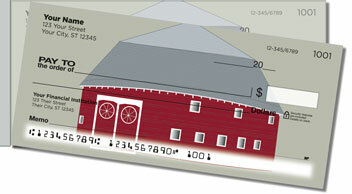 That means fewer voided checks and a better value all around! 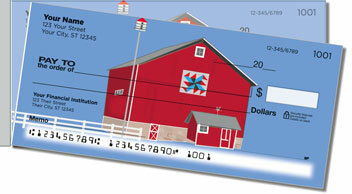 Don't wait another day -- order your Barn Styles Side Tear Checks and matching address labels today!